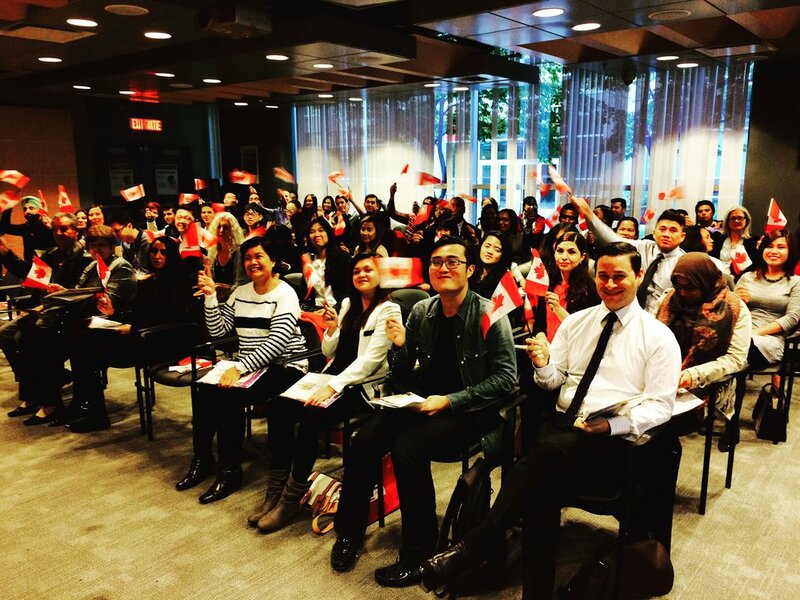 I had the wonderful privilege of addressing two groups of New Canadians during this year's Citizenship Week. The group pictured above was the first, and included 56 New Canadians coming from 20 different countries. Someone mentioned that Canada is one of the few countries in the world that actually has a formal ceremony. I realized later that I have actually been speaking at Citizenship Ceremonies since 2007. This was especially meaningful for me, as I was involved in the early promotion of Citizenship Week when I worked at CBC Television. One of our initiatives was to have CBC host ceremonies at production centres across Canada during Citizenship Week.